The media’s “bubble” problem is really a diversity problem. And it runs much deeper than party or place. Like many journalistic institutions, the New York Times has been criticized for overrepresenting the coastal liberal elite point of view. Conservatives have alleged for years that the national media inhabit a “bubble” of coastal liberal elitism, which skews their outlook on politics and culture. Donald Trump’s run for president was premised on that notion, and his victory—which mainstream pundits once considered unthinkable—seemed to validate it. Hindsight makes it easy to overstate the media’s failings in covering an election cycle that, let’s face it, shocked pretty much everyone. But it’s fair to say that, at the very least, the nation’s pundits and political reporters consistently underestimated Trump’s appeal, leading them to take his candidacy too lightly until very late in the campaign. It stands to reason that they might have done at least marginally better were they more attuned to the mood and values of those who ended up supporting him. Let’s stipulate, then, that there is a media bubble of some sort. That still leaves us to explain just what kind of bubble it is, how it formed, why it’s growing, and what to do about it. In Politico Magazine this week, media critic Jack Shafer and data reporter Tucker Doherty offer some provocative answers. The piece is worth reading, both for Shafer’s deep understanding of the news business and Doherty’s illuminating analysis of industry employment data. Yet it’s unsatisfying in one key respect: In treating the media’s “bubble” problem primarily as one of geography and economics, Shafer overlooks deeper issues of diversity in newsrooms and the commentariat—and misses a relatively obvious solution. The bubble is real, Shafer asserts—and not only that, but it’s a relatively recent phenomenon. He agrees with FiveThirtyEight’s Nate Silver that the problem is not one of malice, incompetence, or explicit ideological agendas but of groupthink: the tendency of like-minded people to reinforce one another’s preconceptions. (Shafer cites the press’ dogged pursuit of Hillary Clinton’s emails as evidence that it wasn’t “in the tank” for the Democratic candidate—it just couldn’t imagine a Trump win.) That groupthink, he proposes, has intensified over the past decade due to a fundamental realignment in the news business. Local and regional newspapers across the country, which once formed the core of the nation’s journalism industry, have been gutted by the shift to online advertising. In their place have risen online media outlets (like this one), which are overwhelmingly clustered in the same coastal liberal enclaves as the big national newspapers, magazines, and TV stations. The bubble, in this view, is not so much a grand liberal conspiracy as a conspiracy of economics and geography. The diagnosis may not be novel—we already knew the media were concentrated on the coasts—but Politico’s data-driven analysis helps to distill the causes, timing, and scope of this geographic consolidation. What’s missing, however, is a viable solution. That’s because Shafer, like many others in the industry, frames the media’s “bubble” problem too narrowly. Once you realize that the disconnect between journalists and swing-state Trump voters is only part of the industry’s larger diversity problem, the way forward becomes clearer. And it isn’t just about urging mostly liberal, white, male reporters to do better. The problem with a liberal media bubble, by the way, is not that liberal values are wrong nor that Trump or his supporters deserve more favorable coverage. The problem is that a homogeneity of viewpoints tends to produce uncritical consensus, leading groups of otherwise intelligent people to collectively overlook or downplay evidence that might counter their preconceptions. That’s true in realms far beyond electoral politics. Ideology is one dimension along which a group can be homogeneous, and it’s the one getting the bulk of the attention from media critics in the wake of Trump’s victory. Silver pointed to surveys that show a shrinking proportion of journalists who identify as Republican, and Shafer shows that 90 percent of online media jobs are in counties that Clinton carried in 2016. It’s this sort of homogeneity that the New York Times recently cited to justify its high-profile hire of the conservative op-ed columnist Bret Stephens. But it’s a thorny one to address on the news side, because reporters’ partisan leanings aren’t supposed to influence their coverage (even though they surely do). She could have added that newsrooms also struggle to bridge racial, gender, and religious divides, among others. A 2016 survey by the American Society of Newspaper Editors found that minority journalists made up just 17 percent of newsroom workforces, and held 13 percent of supervisory positions. Two-thirds of newsroom employees were male. Suffice it to say that white males in the heartland are not the only people whose concerns are likely to be underrepresented in the press. The crude version of the conservative critique of liberal media imputes nefarious motives to journalists: They slant the news on purpose to suit their political agenda. That’s a particularly destructive framing of the problem because it implies that the media are inherently, and probably irremediably, untrustworthy. Shafer and Silver push us toward a more productive way of thinking about the problem by framing it structurally rather than personally. The national media’s blind spots, they tell us, are a function of its demographics and incentives. Really, guys? That’s the best you’ve got? Recalibrations and attitudinal adjustments might sound like straightforward fixes. Conveniently, they allow the same corps of mostly white, male, highly educated journalists to keep its place atop the profession. But asking these people to check their biases is unlikely to effect much change in the long run. In some cases, that change could even be counterproductive. 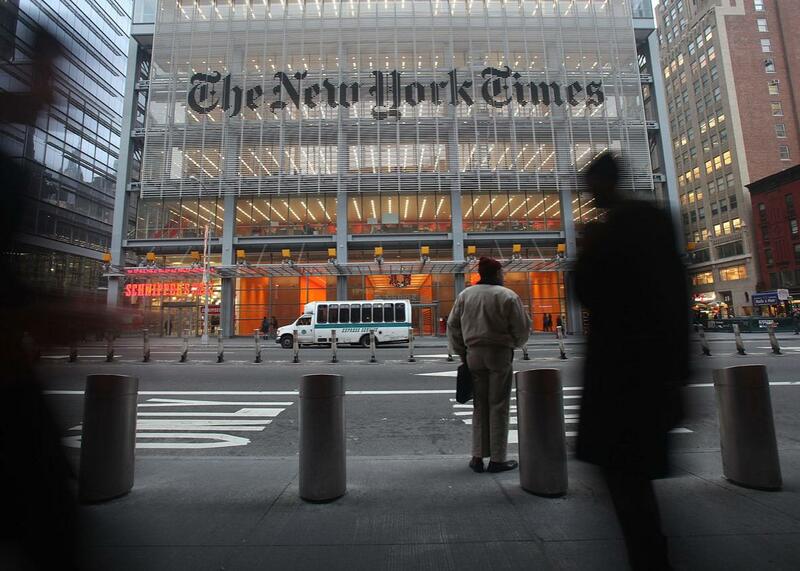 This week’s column from Liz Spayd, the New York Times’ public editor, highlights some ways in which the paper has tried to broaden its ideological and socioeconomic scope. Hiring Stephens—a white, male, highly educated conservative—was one. Another was sending Michael Barbaro, the host of its popular podcast The Daily, to interview a Kentucky coal miner about how environmentalists are destroying his way of life. Acknowledging that he’d never set foot in a coal mine, Barbaro got so choked up over the miner’s plight that he neglected to mention any of the science that backs up those cruel environmental regulations, which Trump is busy dismantling. If that’s the sort of journalistic recalibration we can look forward to from the likes of the Times, I’ll take the liberal bubble. There’s some risk in framing ideology as a diversity issue—that in their scramble to address one blind spot, institutions such as the Times will hire and promote more white men like Stephens to the exclusion of women, people of color, gays, religious minorities, and people from different socioeconomic backgrounds. That would be a shame, and a big step backward. But that sort of zero-sum trade-off seems less likely if media companies view coastal liberal groupthink as a mere subcategory of their broader diversity issues. Spayd pointed out that Stephens represents diversity for the Times along just one dimension—and since the paper’s op-ed page already employs two white male conservatives, it’s hard to argue that’s its most pressing need. The media’s political and geographic biases may have skewed their Trump coverage, but their racial, socioeconomic, and gender disparities blinker their coverage in all sorts of ways every day. White Rust Belt voters were the story of the most recent election; chances are the press will be kicking itself for overlooking some entirely different group next time. Trump’s victory, then, should not be an impetus for media organizations to shunt their existing diversity goals to the side while they pursue journalists who understand Trump voters or the white working class. It should be a reminder that diversity in journalism—geographic, yes, but also of race, religion, gender, and sexuality—is an existential crisis, and that a journalist’s ability to intelligently challenge orthodoxies and assumptions of all kinds should be a major consideration in every hiring decision. Some might view this as a call to prioritize diversity over intellectual rigor. It’s just the opposite: Media companies need to prioritize diversity in service of intellectual rigor. It might be a challenge, as Silver said, to pursue several different forms of diversity at once. But it’s a challenge the media can no longer afford to shirk.